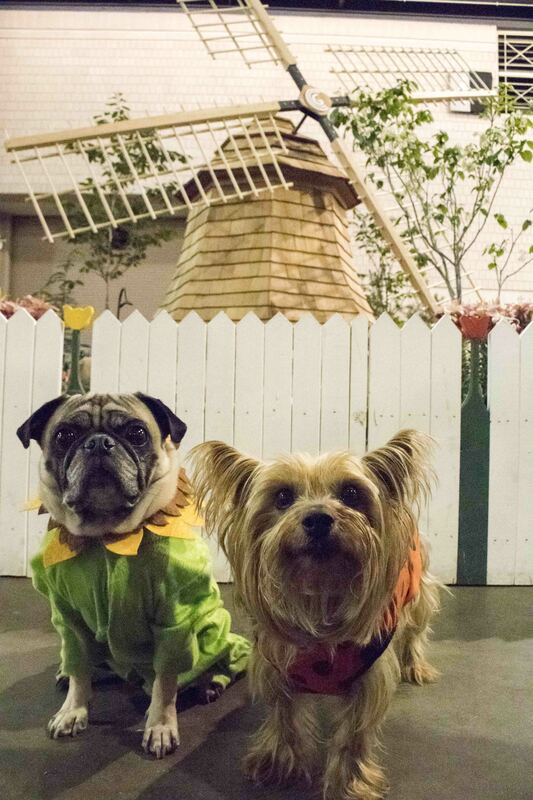 Dipper and I recently visited Holland for the day! Don’t believe me? We have the pictures to prove it. See? Windmills and everything. No? Alright, you got me. 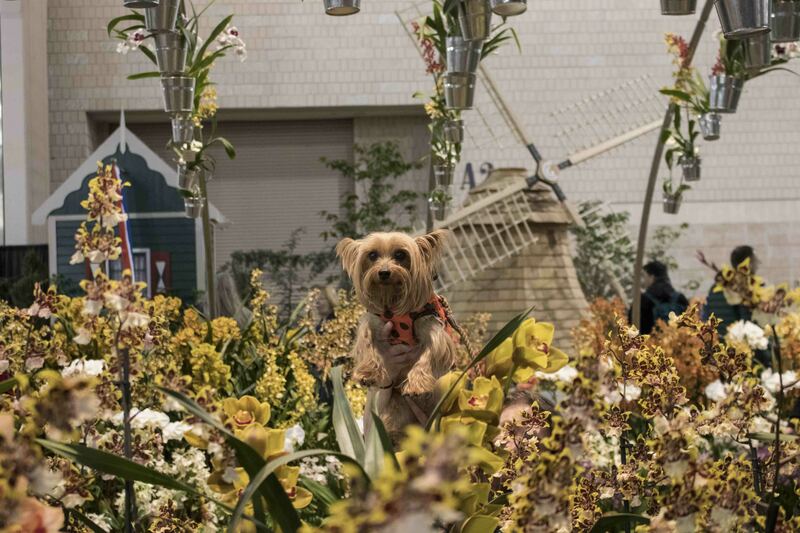 We just went to the Philadelphia Flower Show for their Dutch 2017 theme, Holland: Flowering the World. 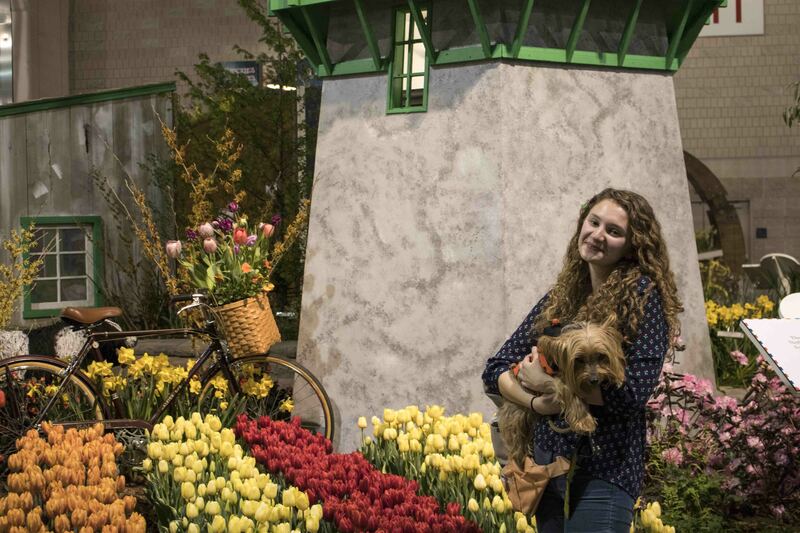 For some, the idea of dogs at the flower show may be as unbelievable as this college student visiting Holland. 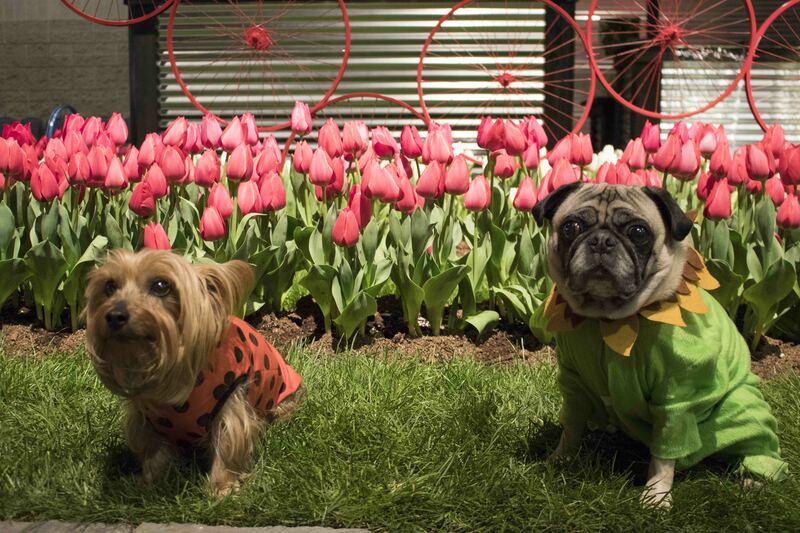 But for the past few years, the flower show has welcomed owners like me to bring their dogs to Fido Friday. 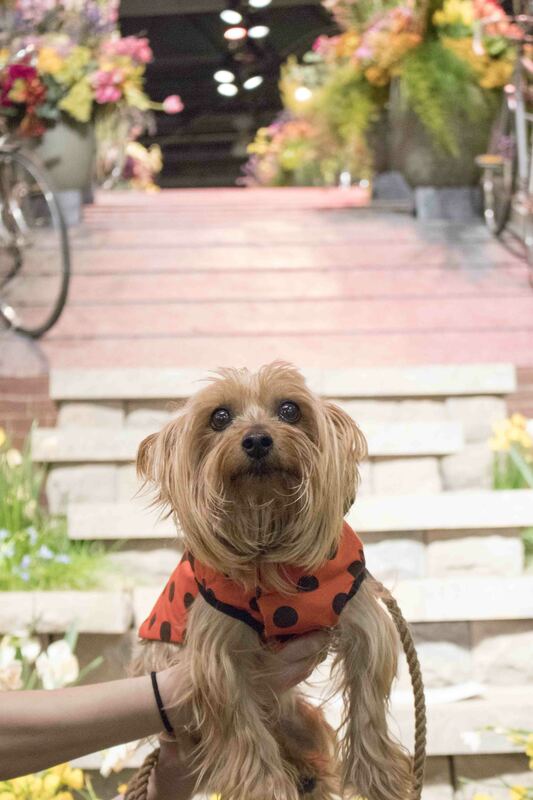 A once yearly event on the last Friday of the show, Fido Friday is largely a fundraiser for some of Philly’s animal welfare organizations. 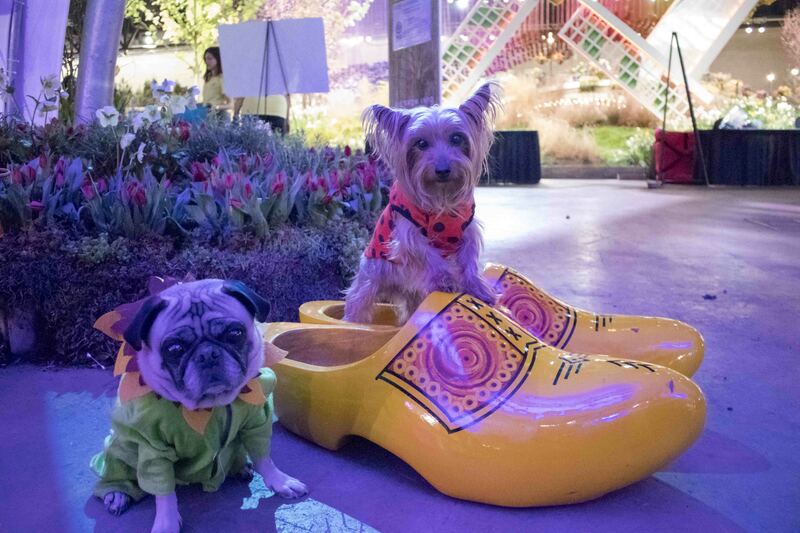 With the 2017 show, Fido Friday entered its third year. Dipper and I went last year, too! We had a wonderful time welcoming spring. We sniffed flowers, enjoyed treats, and received plenty of pats. We also took pictures. Lots of pictures. There were many photo ops to be had. A bug and a bee. Little bug loved the model train set. He heard it from down below and wanted to come up to see! Finally, a shoe your dog can’t destroy. You’re on the wrong side of town. A big thank you to our friend Oliver for meeting up with us at the show. His paparrazi snapped some great photos of us both.